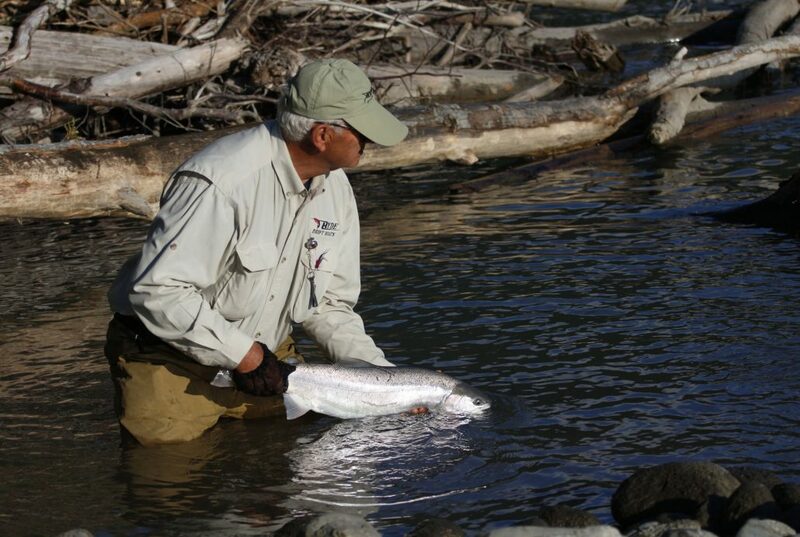 offer incredible fishing for all levels of anglers. 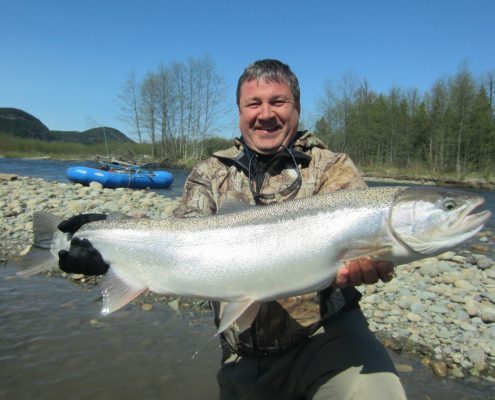 If you are looking for memorable fishing holiday, we can make it a reality. 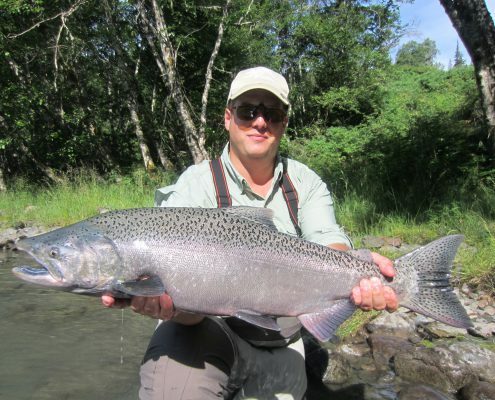 Call 1-250-635-7204 to book your trip! Our lodges, located near Terrace in British Columbia, Canada, are in the heart of some of the finest waters in the world. 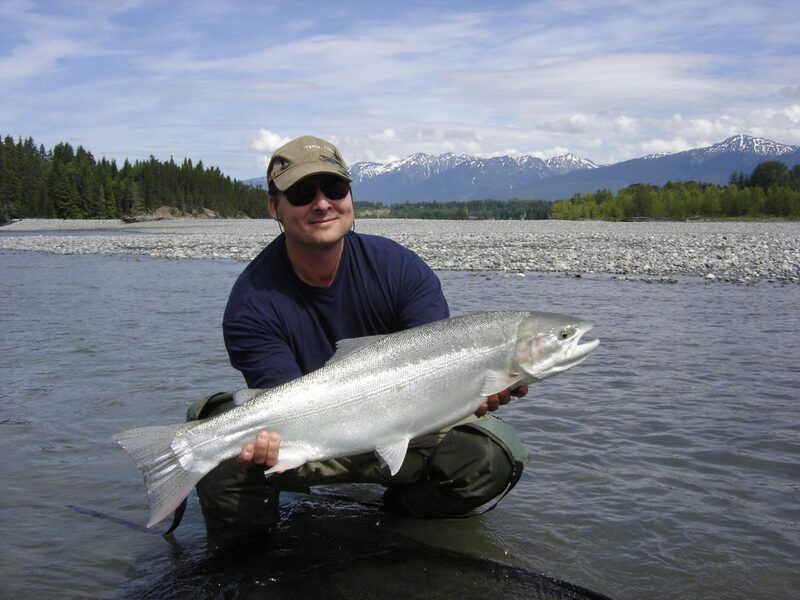 We fish the Skeena River and tributaries such as the Kalum River, as well as the Kitimat River, the Nass system and numerous smaller coastal rivers. 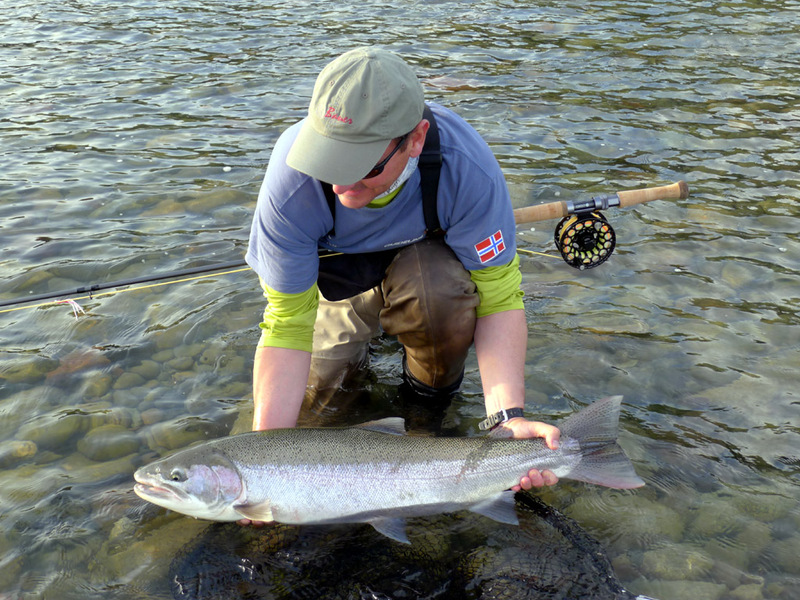 With the lodges’ perfect location, you spend more time fishing and less time travelling! The Skeena region offers diversity as well as a long season that starts in early spring and continues through to late fall. 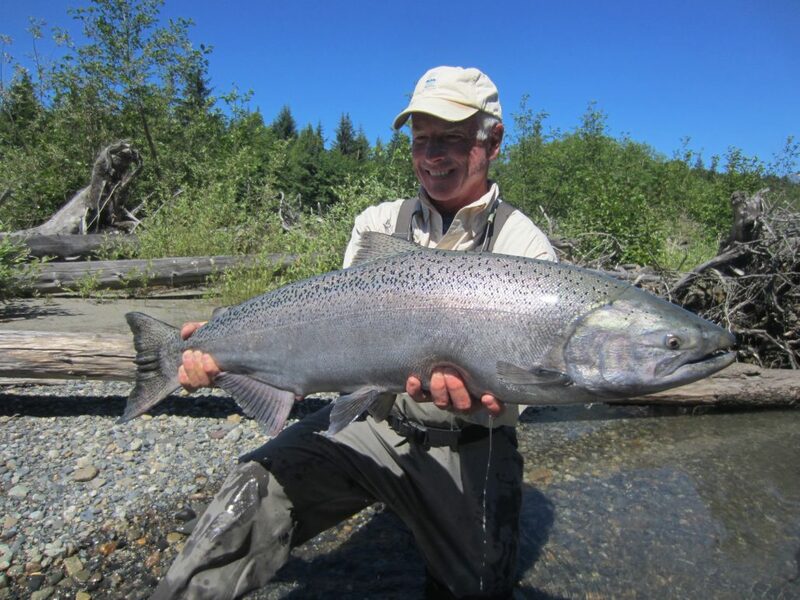 Whether spey casting, single-handed fly fishing or fishing with conventional tackle, there are a variety of waters that will meet your fishing needs. 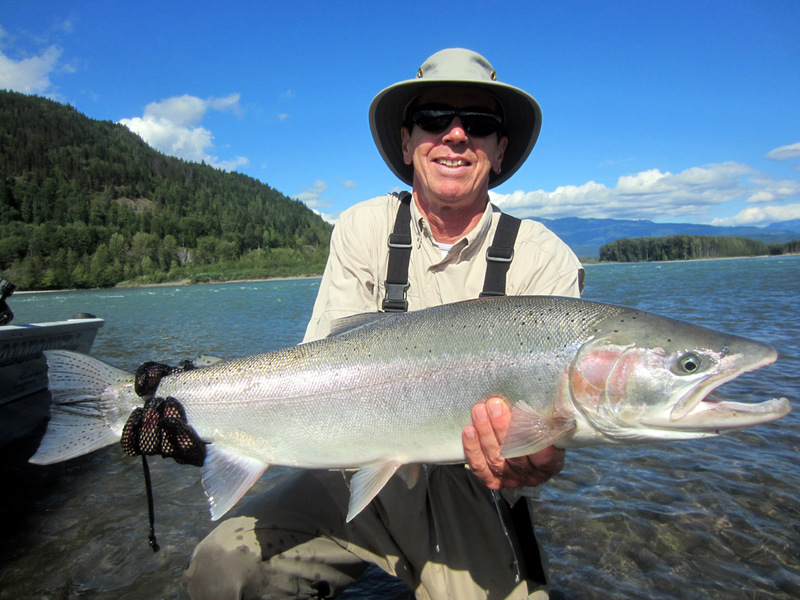 Head Guide Andrew Rushton with over 45 years’ experience fishing the Skeena region heads up a team of great guides. 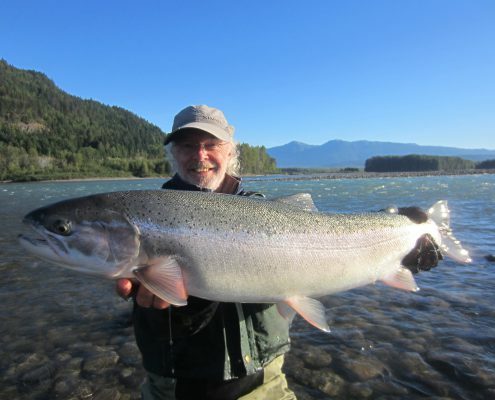 Kalum River Lodge fishing guides have a wealth of knowledge on the techniques and tactics to give you the best fishing experience possible. 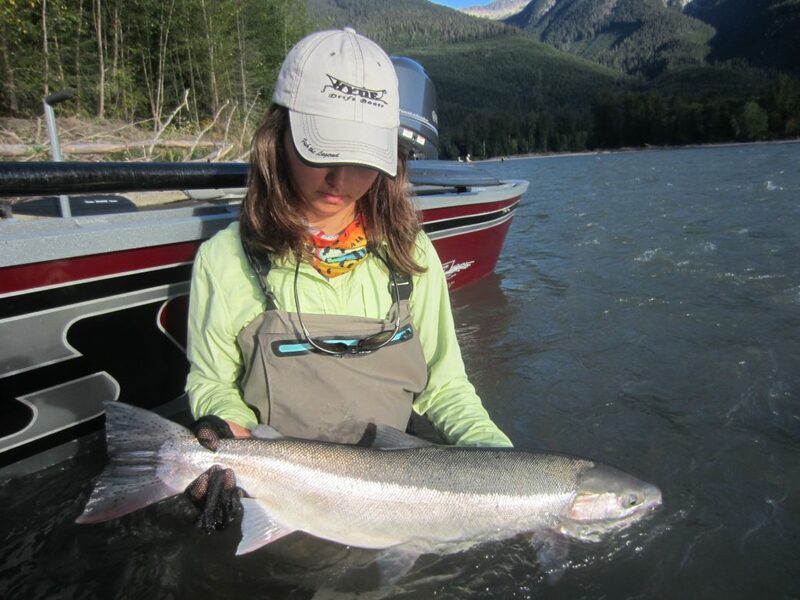 From the novice fisherman through to the experts, our guides will show you proven methods to improve your catch. 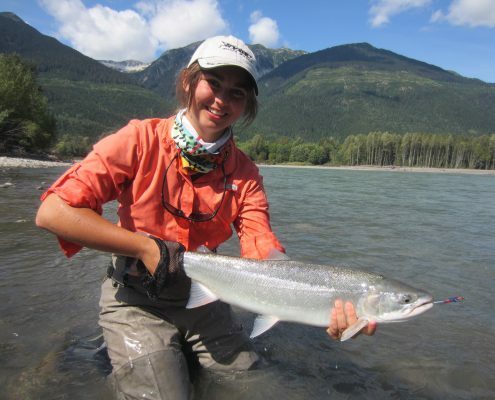 During the summer and into the fall, the lower Skeena River hosts vast numbers of migrating Steelhead and salmon all heading towards up-river tributaries. 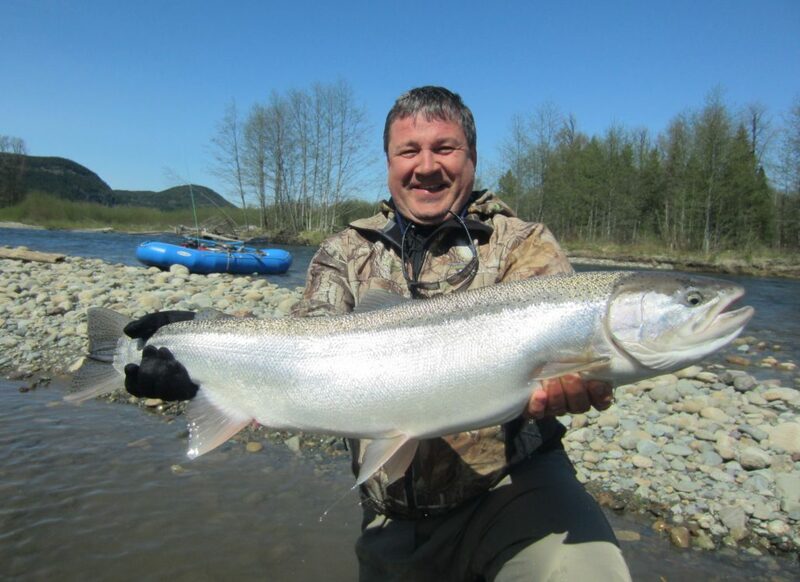 All the fish bound for renowned rivers such as the Bulkley, Babine, Kispiox, Sustut, Kalum, Morice and Copper (Zymoetz) run up the Skeena. 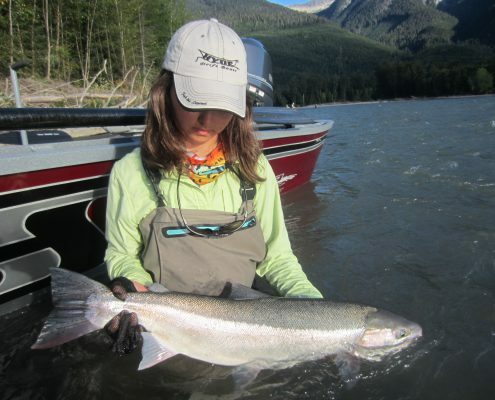 These fish are only a day or so out of the ocean so they are strong, aggressive and very feisty. 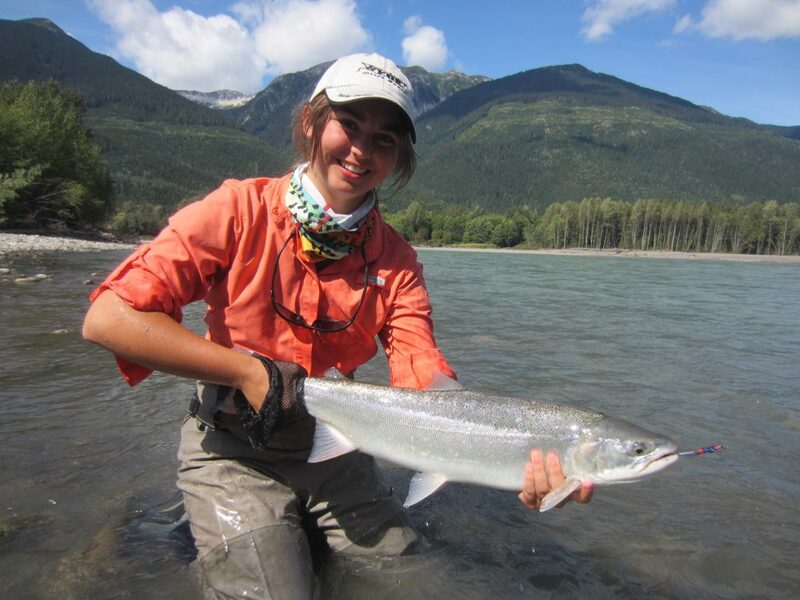 Fishing the Skeena is exciting and action packed. 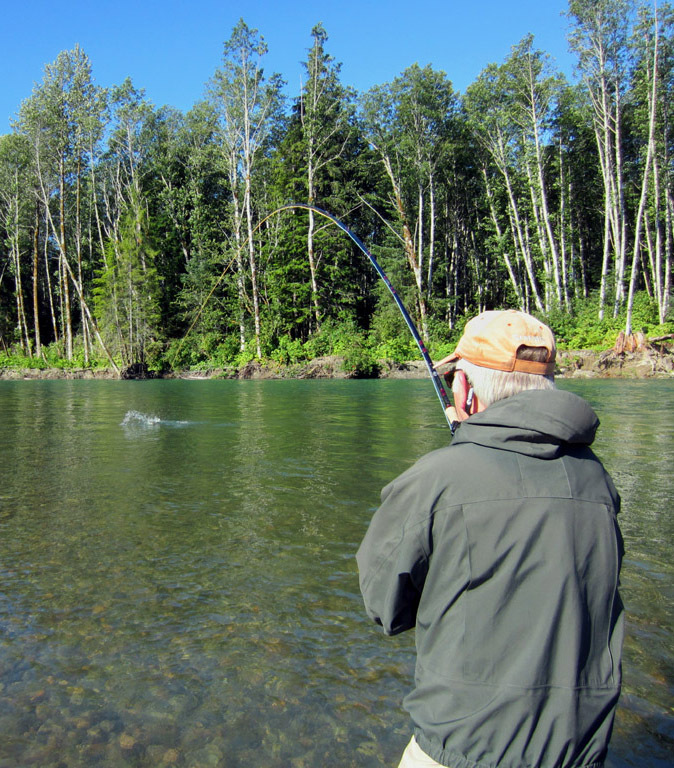 Be prepared to hear your reel screaming as your fish heads off down river!!! 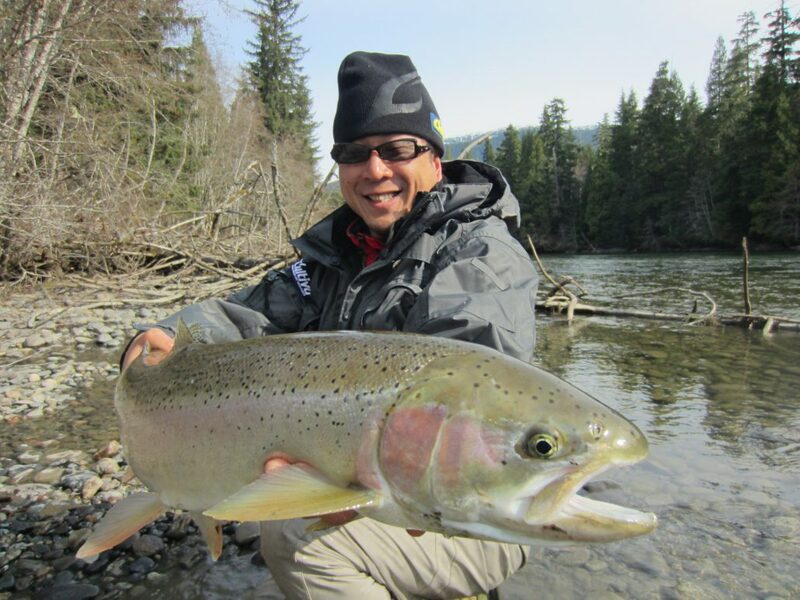 Last season provided Kalum River Lodge’s guests with some fantastic fishing and catches. 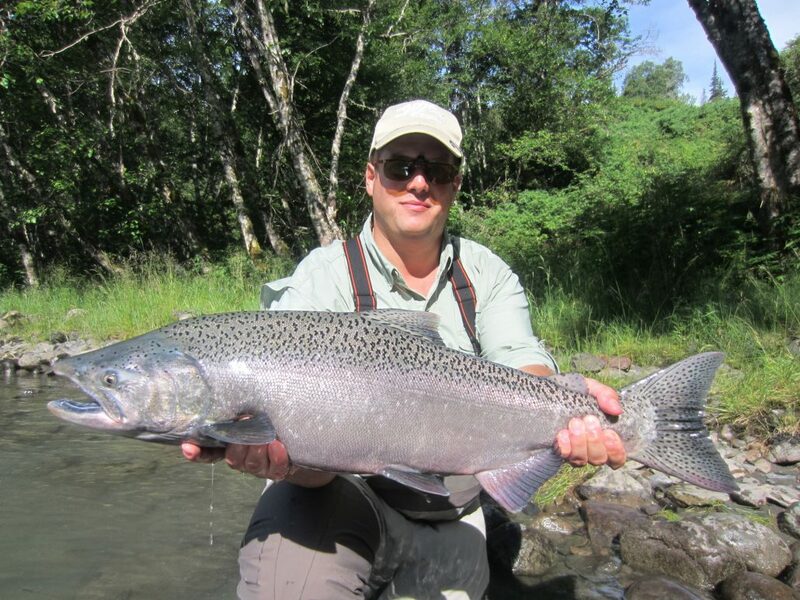 Guests landed several Steelhead around 20lb. The lodge’s largest Steelhead, estimated at 30lb was caught on the fly. 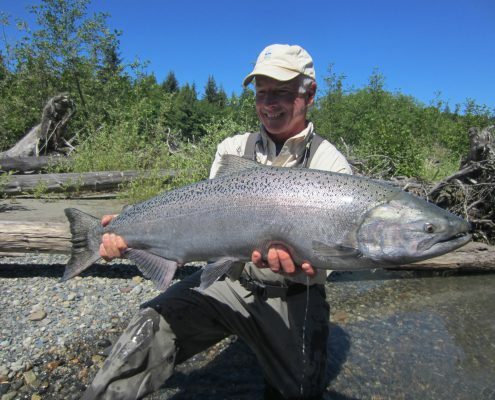 Each year many anglers join us to fish for all the species of Pacific salmon including the large powerful Chinook. 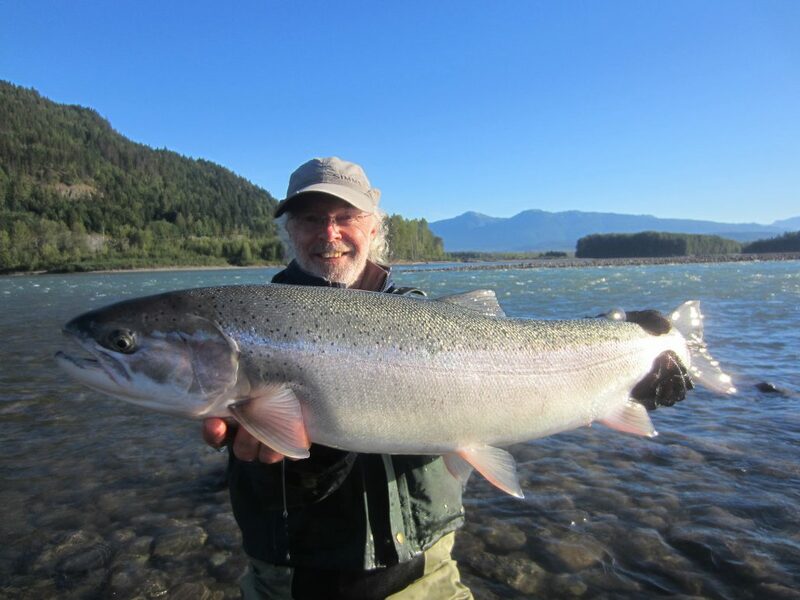 In past seasons Kalum River Lodge fly fishermen have landed Chinook over 60lb. Take a look at our Fishing Report page for our reports throughout the season. 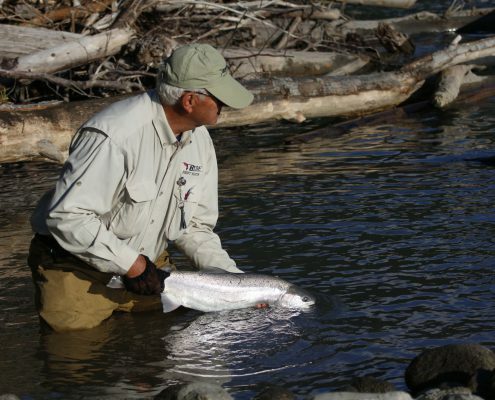 Anglers come from all around the world and many return year after year. 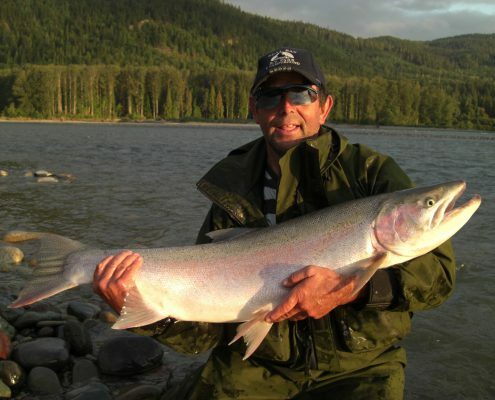 Read our Guest Book to see what our guests say about us! 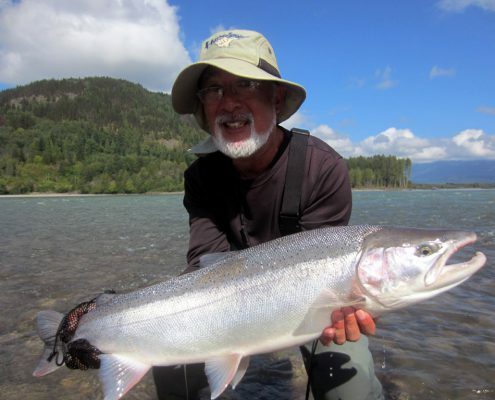 We love hearing from our guests! If you’ve stayed with us in the past, we welcome you to send your feedback about your stay. 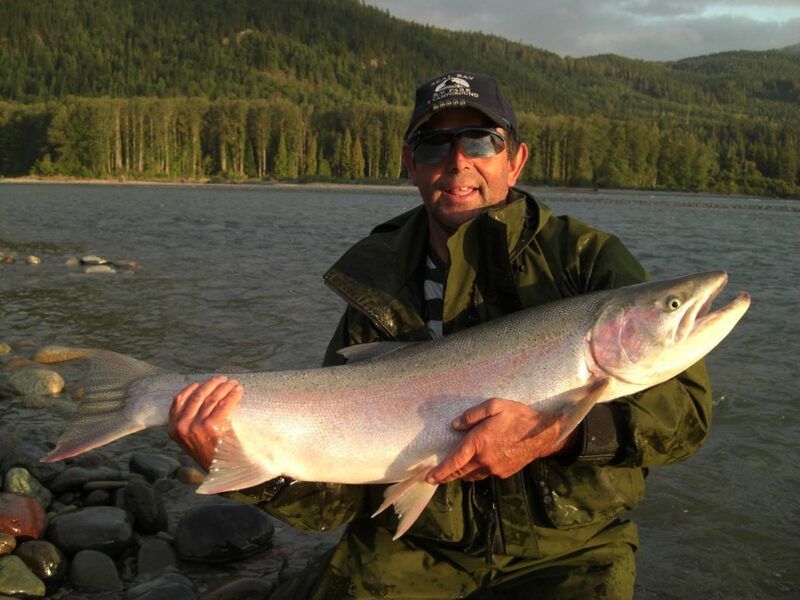 Click here to read more from our guests.